Noosa Sun Motel is located along the beautiful Noosa River in Noosaville. The Yacht club, restaurants, Ferry Station and children’s playground are at your door step. Enjoy a short 5 to 10 min walk to the local shopping centre, Noosa Harbour, Noosa Hospital and over 30 of the finest restaurants. Within a 5 km radius you can explore Hastings Street, Main Beach, Noosa National Park, Noosa Civic Shopping Centre, and the beautiful Sunshine Beach. At Noosa Sun Motel we want you to enjoy the highest standard of Noosa motel accommodation at an affordable price. Noosa Sun Motel features 15 spacious apartments. Most of our apartments feature water views of Noosa’s majestic waterways. All apartments contain all the features of quality motel accommodation, whether it be for overnight accommodation or a longer stay. Starter Pack includes premium Coffee, Tea, Cookies, Fresh Milk, Hand Made Soap, Shampoo and Conditioner. Larger than average motel rooms means there is plenty of room for Golf Clubs, Bicycles, Kayaks, Surfboards or other large sporting equipment. Room feature water views, enjoy the spoils of our king sized beds, free wireless Internet, cable TV, air-conditioning and kitchenette. Price is for a double room only. An extra single and or sofa bed is available for an extra $15 per bed. Rooms features a garden courtyard, king sized bed, free wireless Internet, cable TV, air-conditioning and kitchenette. Price is for a double room only. An extra single and or sofa bed is available for an extra $15 per bed. Room features water views of the Noosa River, king sized bed, extra king or 2 singles in 2nd bedroom, full kitchen, 2 balconies 1 with a BBQ, 2 bathrooms 1 with a bath, free wireless Internet, cable TV and air-conditioning. Noosa is a small beach side community located on the Sunshine Coast in Queensland, Australia. Noosa is made up of a number of towns and suburbs. These include Noosa Heads, Noosaville, Sunshine Beach, Tewantin and the hinterland towns of Cooroy, Eumundi and Pomona. The Noosa area has a population cap of 50,000 people and a height limit on all buildings. This has been put in place to ensure Noosa keeps its village atmosphere and to preserve its lush natural environment. Noosa has a sub tropical climate. Summer is warm and hot. Winter’s see very little rain with cool mornings and beautiful days. Noosa Sun Motel is the perfect base to explore Noosa Heads, Noosaville, Sunshine Beach and Beyond. Noosa Sun Motel ideal for an overnight Noosa Motel stay or perhaps longer. 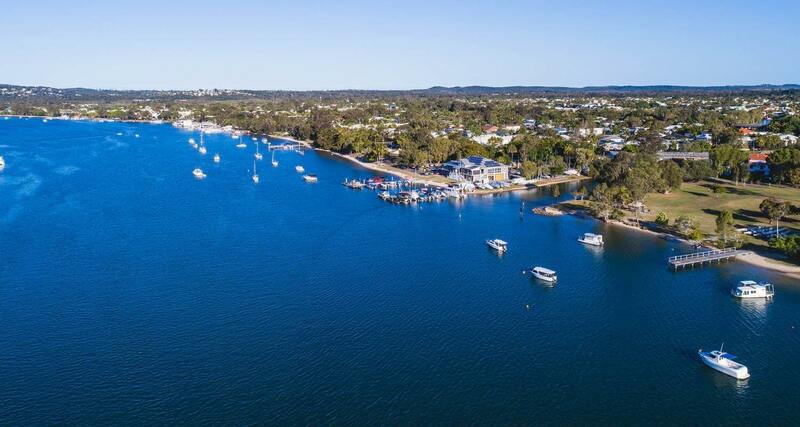 Tewantin is where you will find the Noosa Harbour, Noosa Hospital and the Tewantin Noosa RSL club. Noosa Sun Motel is located only a short walk from Tewantin. Join the club & receive news & specials delivered straight to your inbox!